2 miles north of Pequot Lakes on Hwy 371 next to AmericInn Lodge. Have some awesome all-day FUN at Wildwedge! 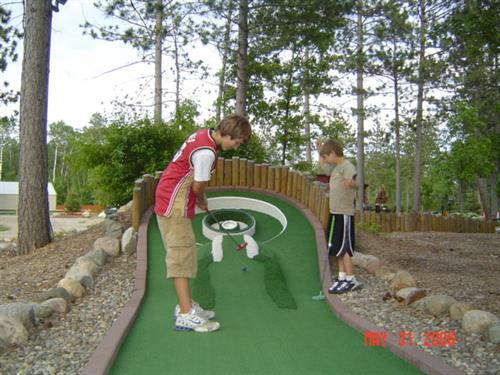 Challenging Mini Golf. Scenic Executive Golf Course. CSI:Wildwedge 10,000 sq ft Mystery Maze (wooden). Driving Range. 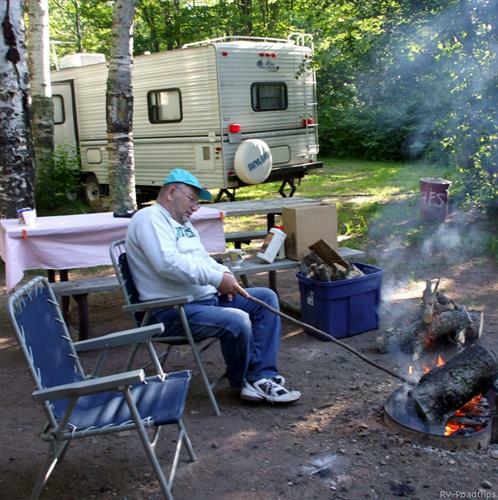 RV Park with pull-thrus and large shady sites on the golf course plus Lodge Motel rooms available. Stay nightly or stay all summer! CSI:WILDWEDGE! Wildwedge has an exciting and unique family attraction ... The Amazing Mystery Maze! Walk thru the wooden maze, find clues and solve the mystery. Over 10,000 sq feet! 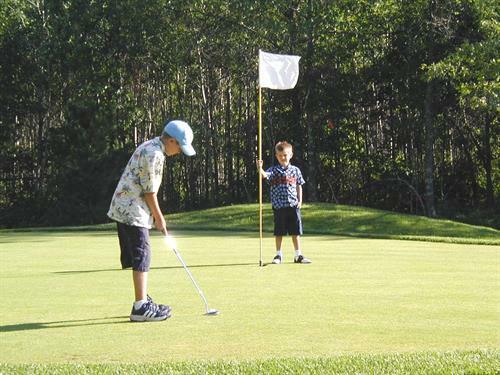 Wildwedge's awesome miniature golf course consists of 18-holes and is considered one of Minnesota's best designed courses. It is very challenging and has ponds, waterfalls and streams running through it and they are always adding more landscaping and fun decor. 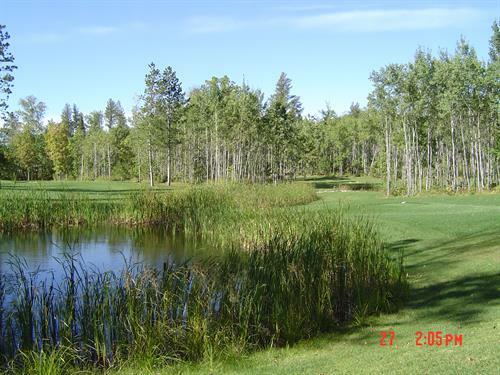 Wildwedge's Par 3 Golf Course is a very scenic walk through the great north woods, so even if your golfing is not going so well, the scenery will calm your senses. The course has holes ranging from 75 to 175 yards, so you get a good workout with a range of clubs. There are water hazards on three holes and several sand traps, so it is fun and challenging for even the most experienced golfers. There is also a full-size driving range available, so you can come on out and tune-up your game before playing. At Wildwedge there is always something fun going on! Check the website for info and updates at www.wildwedge.com. 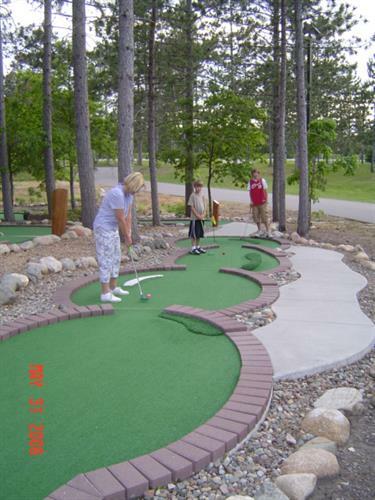 Miniature Golf Course - The best in MN! Amazing Mystery Maze - 10,000 sq ft of fun!